Mansfield Town v Port Vale. 'Alex MacDonald in second half action. Mansfield Town midfield star Alex MacDonald warned against complacency on Saturday away to a Yeovil Town side that made themselves safe from relegation in midweek. 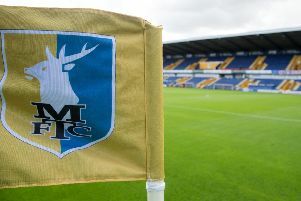 Stags head there desperate for a win to keep their play-off hopes alive in the penultimate game of the season, but MacDonald warned that teams can be dangerous when the pressure is finally off them. “It’s not going to be as straightforward on Saturday as it looks on paper,” he said. 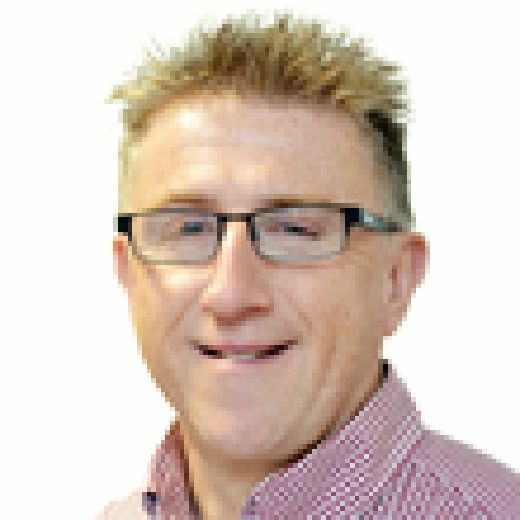 “Yeovil haven’t really got much to play for when you look at the league table, but I’ve been in a relegation battle before with Plymouth and it’s tough. “When you know you’re safe, it’s a big weight off your shoulders and they can be dangerous at times when you’re playing against these teams. “You are still playing for contracts, you’re playing for your future, you’re playing for your family. Stags are chasing Coventry and Luton who are three and six points ahead of them respectively. “You’d rather be in their shoes, as you know it’s in your own hands,” he said. “But we have to make sure we take care of our own business, which is Yeovil away on Saturday, to go into the last game of the season full of confidence. “We know what’s at stake and we’re not deluded enough to not know we have two very tough games. But we know the prize at the end of it. MacDonald has enjoyed his first full season with the club, particularly playing his current central midfield role, and believes his success is down to keeping his weight down with a better diet away from the club. “Personally it’s been a good season and I think I’ve played well,” he said. “I don’t feel I’ve played as well as what I had done for three or four months over the past month or so. On the various positions he has been employed in, he said: “It’s been a mad one. I’ve played all across the midfield, as a number 10 and as a striker. But as long as I’m out on that pitch I’m a happy man. “I can’t lie – I do like playing in central midfield. Since I’ve made the transition there early on in the season I have really enjoyed being in there. “You’re always part of the game and it’s great to always be involved. “Sometimes in League Two games, as a winger, you don’t always see much action or be involved in the games as much as you’d like to be. He added: “I feel I have come on this season and that it’s all down to my physical condition. I have really looked after myself like I’ve never done in my whole career and slimmed down. “When I come into the club I know I will always give 100 per cent in games and training. But when I’m away from it, that’s when I’ve probably let myself down a little bit in previous years. MacDonald concluded: “It’s frustrating to see where we are now, having been in the driving seat most of the season. “But we’ve still got a chance to put that right. Until that’s taken out of our hands, we are going to fight until the very end.